To those few Islamists who think they can blast modern civilization back to the Dark Ages with Kalashnikovs, I’d like to send the message that without our modern values of freedom of speech, thought and religion, you would have been burned at the stake by a still existing (un)Holy Inquisition. Why are you so determined to sabotage your fellow moderate Muslim brothers in their quest to live peacefully with people of other religions, races and belief systems? 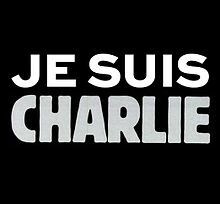 The cartoonists and journalists at Charlie Hebdo (and at other satirical publications) are indispensable voices in our society. They are people who point out to us how foolish we as human beings can be; they make us re-think, they make us laugh at our follies. We need them now more than ever, and we always will. My heart goes out to the families and friends of these courageous men who were murdered yesterday.